Having been pioneers of innovation in Turkey for nearly 40 years with its global retailing approach, Boyner sets a model for the sector by combining a variety of products with the spirit of quality, reliability and reasonable prices. Here, RLI speaks with company CEO Bülent Başaran about the company’s new brand strategy and future growth. Beginning life serving customers in its first store named Çar ı, which opened in Bakırköy in 1981; Boyner today serves as the iconic department store chain of Turkey with 116 stores, operating in three separate retail store models, namely Boyner Stores, Boyner Sports and Boyner Outlet with a total of nearly 280,000sq m sales area in 38 cities across Turkey. Following a merger with YKM Department Stores in 2012, Boyner Department Stores, under the roof of both Boyner and YKM stores, offers its customers a wide range of domestic and foreign brand goods in different categories. The assortment of high quality goods include a growing range of exclusive and private-label lines with a wide range of products and affordable prices. “For the last two years Boyner has implemented a brand strategy that is built on continuous communication that we call “always on”,” says Bülent Ba aran, CEO of Boyner. “We have designed 360-degree marketing campaigns every month and created a warm tone of voice to reach the consumer. Category-specific communication and emphasis on special days & gifting were the pillars of the “always on” communication strategy.” The company has evolved in recent years with respect to customer experience, brand mix, tone of voice and omnichannel retailing due to its innovative vision. The goal for the business was to provide its customers with the exact service they desire at every stage of their shopping journey, from the buying decision to after sales services, by fully embracing them. 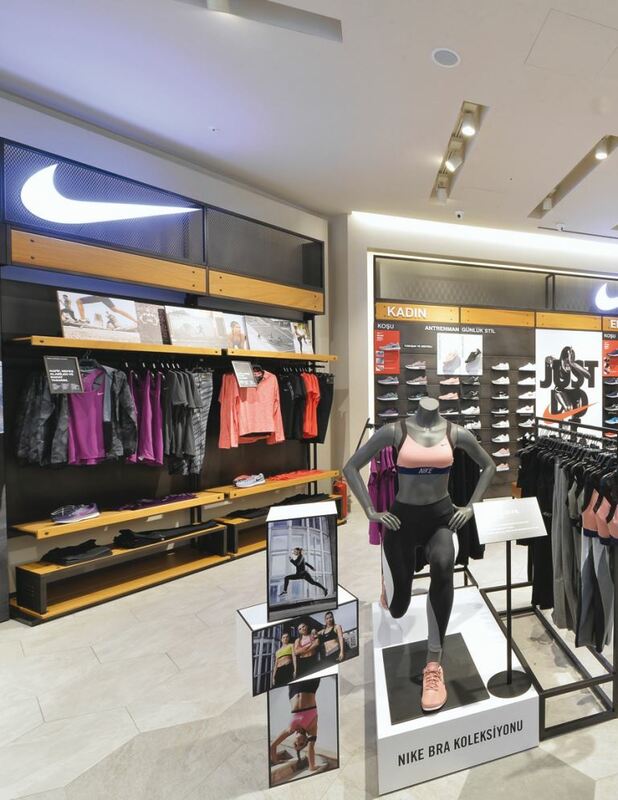 “In order to meet today’s demanding customer’s expectations; we launched a new generation store concept last year. The new store has been developed based on global trends and assessment of consumer shopping behaviours. With this concept, we want our customers to spend better time during their shopping trips,” explains Başaran. 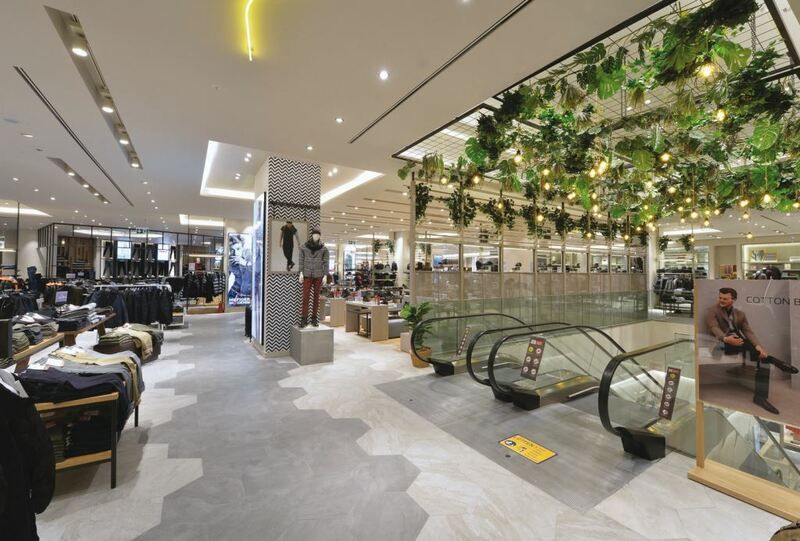 During 2018, Boyner has opened two new department stores, one in Ankara in April and one in Balıkesir last month, whilst an additional Boyner Sports store launched in Adıyaman in September this year. In the coming 18 months another six potential projects will launch. 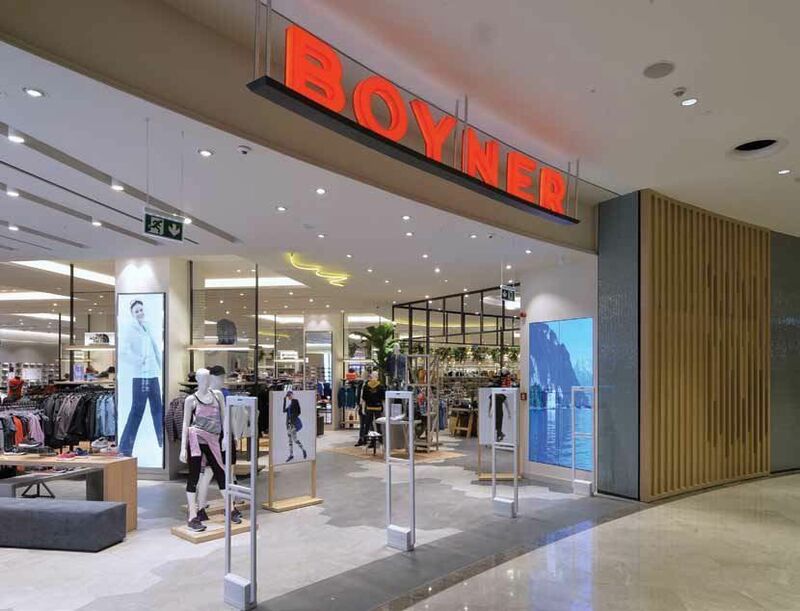 To maintain its position as the go-to department store in Turkey, Boyner will continue to offer a seamless shopping experience, integrated in all its channels and they aim to strengthen its omnichannel experience with even more technological services and 360-degree customer behaviour analyses. “Customisation and communication based on expectations and choice is the key trend in global retail. We at Boyner focus mostly on this and work on a customised and privileged shopping experience across all our channels,” says Ba aran. Currently in Turkey Instagram and Facebook are the most popular social media channels and Boyner utilises these as a fullfunnel advertising strategy based on awareness, consideration and conversion. The brand is the country’s standout department store and “all-in-one” shopping destination for the family and still today puts the customer first. It does this by giving them convincing reasons to shop at its locations, offering more than 250 brands in various categories. Boyner brings its customers the best in class Turkish brands and international brands, whilst being a leading destination for active wear, cosmetics and kids collections. Customers today want a simple, seamless and customised experience across multiple channels at any time on any device. Therefore, Boyner had to change its way of doing business. They continue to work on the merging of offline and online channels to meet rising customer expectations for a seamless experience, quick speed and perfect efficiency, whether the customer is shopping online or offline. “Moving forward, we will collect and analyse a tremendous amount of consumer data from every touchpoint of our consumers to better understand and serve our customers,” concludes Başaran.